How to create a fluid and consistent UITabBar and UIToolBar animation like in WhatsApp for your app. WhatsApp’s transition from a UITabBar to a UIToolBar. 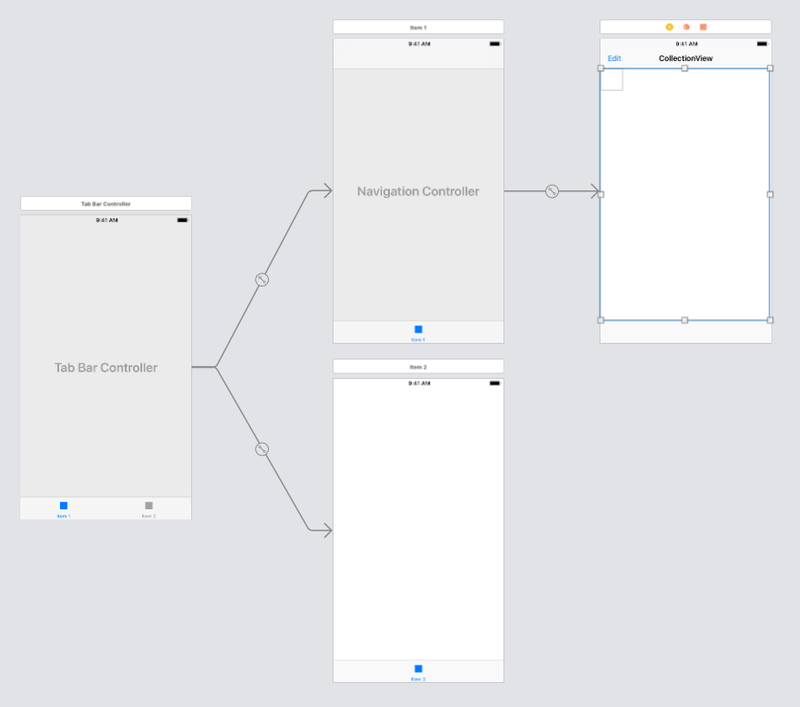 Recently I was developing an app which had a UICollectionView embedded in a UIViewController, which in turn was embedded in a UICollectionViewController, and I wanted to be able to hide the tab bar at the bottom of the screen to show a tool bar when in edit mode. The view hierarchy in question. One of the apps I use the most is WhatsApp, but until now I had not tried to dissect how it manages its UI transitions. I noticed that the way it handles the transition and position of the UIToolBar at the bottom of the screen when in edit mode fit perfectly what I wanted to implement. In this article, I will show you how I implemented it in my app and explain my design decisions. It turns out that doing the above is not trivial and took me a while to figure out. I had to write custom code and too much trial and error. So I hope that this article and the sample project makes your life easier if you want to implement the same. WhatsApp’s animation slowed down to 10% its original speed. From what I can tell, WhatsApp fades the UITabBar in or out and at the same time moves the UIToolBar up or down depending on the editing mode. Hence our plan of action is to do exactly the above. This is where I was completely wrong. I thought that implementing what we discussed above would have been a piece of cake, but it turned out to be extremely convoluted. It turns out that using the default animation and system for large titles screws up any simple positioning code your might write for your UIToolBar. The first thing I tried was to use the UINavigationController’s default UIToolBar and change its position according to the editing state of the app. However, as I said above, that doesn’t really work if you are using large titles. Notice how the UIToolBar gets moved when the large title is animated. Moreover, I discovered that I needed to manually resize the bounds property of the collection view if I wanted it to cover the whole space between the moved UIToolBar and the UITabBar. In order to circumvent that, we need to add a UIToolBar manually rather than using the default one provided by the UINavigationController object associated with our view controller. I recommend checking it out, since I deliberately missed some details in the article for the sake of brevity. It took me a long time to figure this out, because the interplay between the different UIKit elements did not work as I expected. Try the easiest solution first; if that works, cool! If not, keep on trying new ones and experiment. It can be very frustrating, but don’t give up! The style of this post was partially inspired by Nathan Gitter’s Medium posts, and I also used some of his code. Thanks for sharing it with us Nathan! If you enjoyed this article, please click the 👏 button and share to help others find it! Feel free to leave a comment below.